Mike Tyson speaks out on Bernard Hopkins: "I’m envious"
In a recent interview with The Gridlock on ESPN Las Vegas, Mike Tyson spoke out on an assortment of topics. One such topic that was related to Boxing was Tyson's thoughts on Bernard Hopkins defeating Jean Pascal to become the champion and overtaking George Foreman. 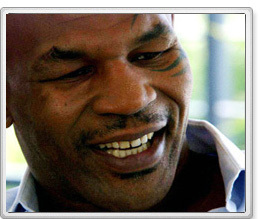 During the interview Tyson was asked: What about Hopkins overtaking George Foreman as the oldest heavyweight champion? Tyson responded to the question by stating: "That’s awesome. I wish I could still fight. I’m envious."